This Duvet Cover and Pillowcase Set is available in both Single and Cot Bed sizes, which are standard to UK Bed Sizing. 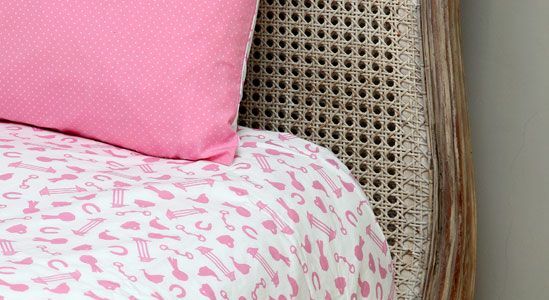 These Duvet Covers makes the ideal bed linen for children who adore the designs, encouraging them to bed. In a beautiful cotton the fabric get better, softening with age.